With this kit you can build one of a total of 10 different Muff versions. 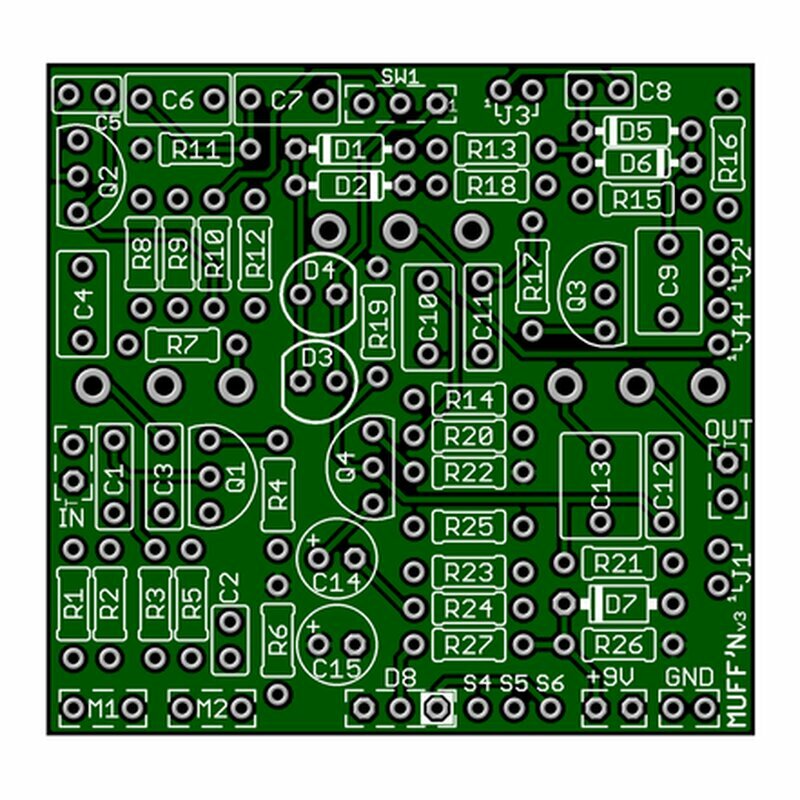 This kit contains the pcb and all necessary parts to build the Standard Build. You can choose an enclosure, please select 3 knobs separately. The pots have round 6,3mm shafts, please think of that when selecting the knobs. Great pedal! Big Muff Pi - The Muffn kit 5 from 5 Great pedal! 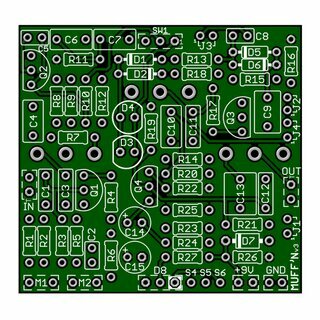 Easy to build, some nice and easy mods included in the pcb. Great Kit. Great Pedal. Big Muff Pi - The Muffn kit 5 from 5 Great Kit. Great Pedal. I assembled mine as green Russian Muff with the diode/LED/no clipping switch and it sounds great. I have a second kit that I will start on soon and add all the advanced modes. Ill probably do the gain staged as a Triangle and the tone stack of the Civil war on that unit. I have no issues with my first build. Everything worked from the first power one. Great kit.